Request for contractor to remove and dispose of 4200 square foot gym floor to include surrounding VCT flooring. Contractor to supply tools and supplies necessary. Contractor must be insured to District requirements and employees must have current background checks. For questions please contact Alfonzo Goad, Maintenance Director at 970-560-0624. The objective of the Owner is assistance in updating the facility master plan completed in 2012. The updated plan will address both the short-term and long-term facility needs. The master plan will serve as a "road map" ultimately leading to high performing, 21st century school facilities. Project for the erection of an owner provided 60’ x 60’ metal building. Project also includes a 900 SF tenant improvement. All plumbing, electrical and mechanical to be per Architectural drawings. . Schedule of construction including metal building delivery date. Must be bonded & insured per Dolores School District requirements. Budget for the project is set at $300,000.00. Bid documents including drawings and specifications will be available at Cortez Copy & Print on August 24th. The cost of the bid documents are $50.00, non-refundable. R.F.I.s due by 3:00 pm August 29th. Sealed bids due by 3:00 pm September 11th to the Dolores School District Office, 100 N 6th Street, P.O. Box 727, Dolores, CO 81323. For Questions contact Larry Funk Transportation Director 970-882-2649. The District reserves the right to waive any formality in the process of awarding the bid. The District reserves the right to accept any bid, in whole or in part, and to reject any or all bids if it be deemed to be in the best interest of the Dolores School District to do so. Dolores School District Re-4A is soliciting proposals to supply a Transportation Building. The building will be a 60’ x 60’ Insulated Steel Building with Metal Exterior Siding and Metal Roof per specifications that can be found on the District website: www.doloresschools.org Please include in proposal a timeline for drawings. Proposals are due in the form of sealed bids addressed to Doreen Jones, Finance Director, PO Box 727, Dolores, CO 81323 by April 6th at 2:00 p.m. Sealed bids will be opened April 6th at 2:00 p.m. 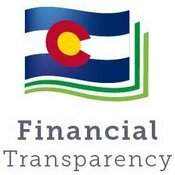 Please contact Larry Funk, Transportation Director at 970-882-2649 or Doreen Jones, Finance Director at 970-882-7255 with questions. Dolores School District Re-4A is soliciting a qualified owner’s rep to contract with the school district to provide professional services and advice for a small project of approximately 1,600sq’. Interested applicants may obtain the District’s RFQ/P on the District website: www.doloresschools.org Optional tour of the facility located at 1301 Central Ave., Dolores, CO will be conducted on September 29th at 11:00am. Please email the superintendent with your intent to tour by September 29th at 3:00pm. Please contact the Superintendent – Scott Cooper, via e-mail scooper@dolores.k12.co.us with questions or concerns regarding this solicitation.